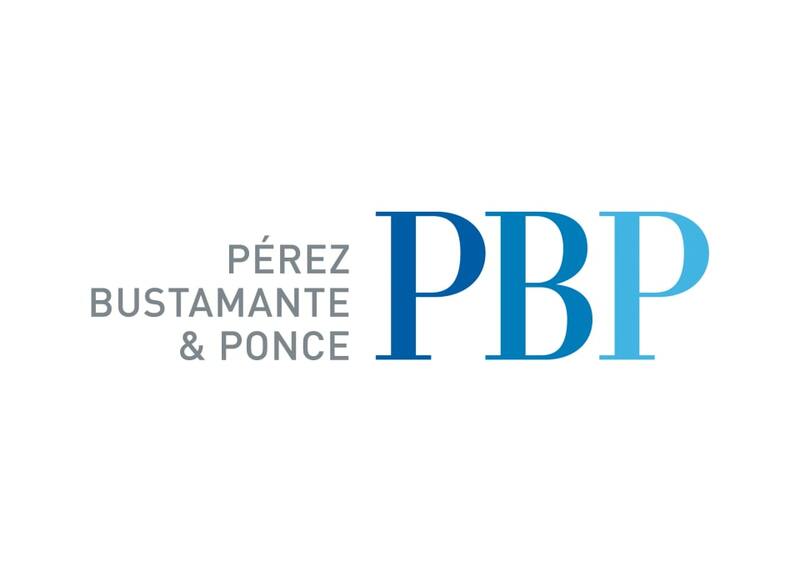 Pérez Bustamante & Ponce (PBP) is a leading full-service law firm in Ecuador with offices in Quito and Guayaquil and relationships throughout the world. Since 1916 it has provided quality legal advice to local and international clients and has participated in many of the country’s landmark legal matters. PBP’s very dynamic team combines local and international expertise. Many PBP lawyers have studied or worked abroad and several are admitted to practise in the US, Spain, Chile and Colombia. PBP has a wide array of specialists in all areas of law relevant for conducting business in Ecuador. The team works together to provide high-quality, comprehensive and effective legal advice. The firm has been appointed Ecuadorian Law Firm of the year nine times by Chambers Latin America (2018, 2017, 2016, 2015, 2014, 2013, 2011, 2010 and 2009) and eight times by Who's Who Legal (2018, 2017, 2016, 2014, 2013, 2012, 2011 and 2010). PBP believes that pro bono work is inseparable from the practice of law. In 1987, it founded Fundación Fabián Ponce Ordóñez to coordinate and optimise the firm’s pro bono resources and maximise its scope. The firm is the exclusive member for Ecuador of Lex Mundi, Interlaw, Club de Abogados Employment Law Alliance, Riela and Insuralex, to provide our clients with seamless service anywhere in the world. International arbitration, including ICSID and ICC cases ranging from investment arbitration to commercial disputes. GAR distinguishes PBP as one of the “100 most important firms in the world in arbitration”. Tax: PBP’s tax unit teams up lawyers and financial advisers to provide a comprehensive advice in tax planning and litigation. Banking and finance: Advice to foreign banks with business in Ecuador as well as local banks operating in different areas in the Ecuadorean market. Energy: PBP has decades of experience in the energy sector. It has led the negotiation, signing and implementation of major projects in Ecuador’s oil, gas, mining, hydroelectric and alternative energy industries. Mergers and acquisitions: PBP is at the forefront of structuring and executing mergers and acquisitions. They participate in multinational teams and work closely with international law firms. Infrastructure and project finance: Project financing and PPP has been one of the most active areas at PBP in recent years. The firm advises Quiport on the development and operation of Quito's international airport green field project and has become the go-to expert in PPP, implementing in 2016 the first and second PPP ever to be made in Ecuador. Labour and immigration: PBP advises on employment, social security and immigration issues. Intellectual property: PBP’s IP practice combines a long track record with a dynamic and up-to-date team of experts. It is best known for: handling local and foreign trademark portfolios; dispute resolution including: antipiracy, border measures, administrative and judicial disputes and IP due diligence process. Compliance and anti-corruption: The firm's practice area advises in all compliance matters, including design and implementation of compliance programmes, pre-acquisition corruption risk assessments, compliance due diligence, internal investigations, remediation and litigation.